There is still hope for a landmark trade deal between the European Union and Canada which is being blocked by Belgium’s French-speaking Wallonia region. Brussels says a solution can be found before Thursday’s signing summit. 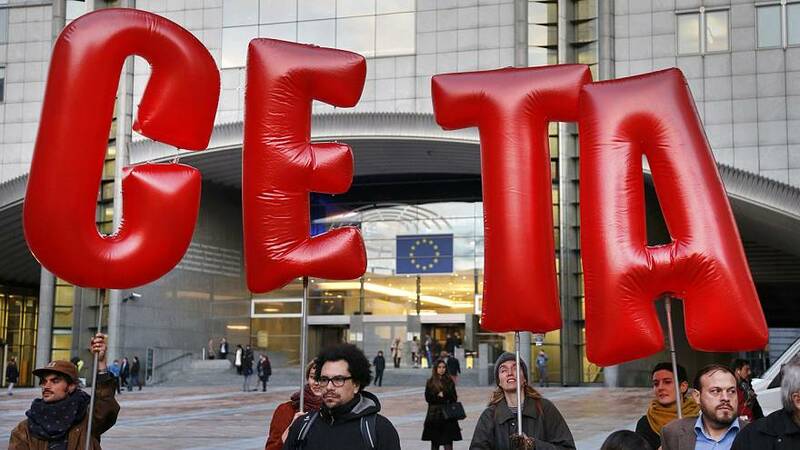 The Comprehensive Economic and Trade Agreement known as CETA needs the support of all 28 EU nations before it can be approved. Chrystia Freeland, Canada’s federal minister for international trade, said she too remained hopeful the deal can be salvaged, but that “the ball is in Europe’s court”. “If Europe cannot sign this trade agreement, and it`s also a trade agreement with Canada, a country that very much shares, has shared values with Europe, then I think that certainly does call into question European trade policy more generally,” Freeland said. Many see the issue going beyond just a trade deal with Canada, the EU’s 12th largest trading partner. The deal which will eliminate 98 percent of tariffs creating multi-million euro savings (to both sides) has been criticised for giving too much power to multinationals and being a threat to jobs. CETA does not involve EU-style free movement of labour. But for British services – 80 percent of the UK economy – the CETA terms are less favourable than those they have now.